The 720-EVS is a 20?, variable speed, electric PPV set on the classic 7-Series frame . 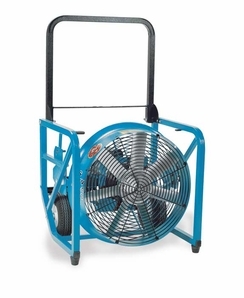 A slightly larger, variable speed PPV, perfect for departments with medium to large residential and a few commercial structures and that seek precise control of air movement and up to 33% more airflow than single speed motors. The 720-EVS will run on any 15 amp GFCI circuit and new hydraulic generators.